May has been over for a week now, but as I mentioned in my last blog post, I’ve been a little light on posting last week. I can’t believe it’s June already, this year is flying by. As I was looking back through my pictures from the last month, trying to decide which to share, I realised that I did a lot more than I thought in the last month! 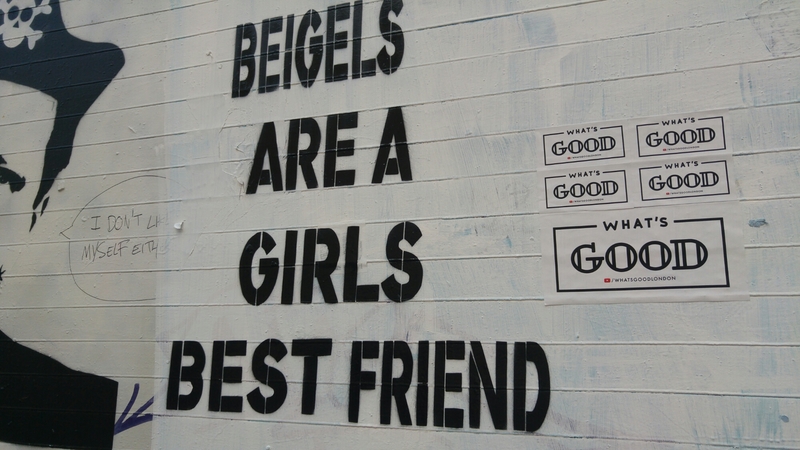 Back at the very beginning of the month, I shared with you a few snapshots from a cute breakfast date with the Bulgarian. This was at the height of his university work, trying to finish his thesis, so these short, snatched dates were a lovely way to spend some time together. 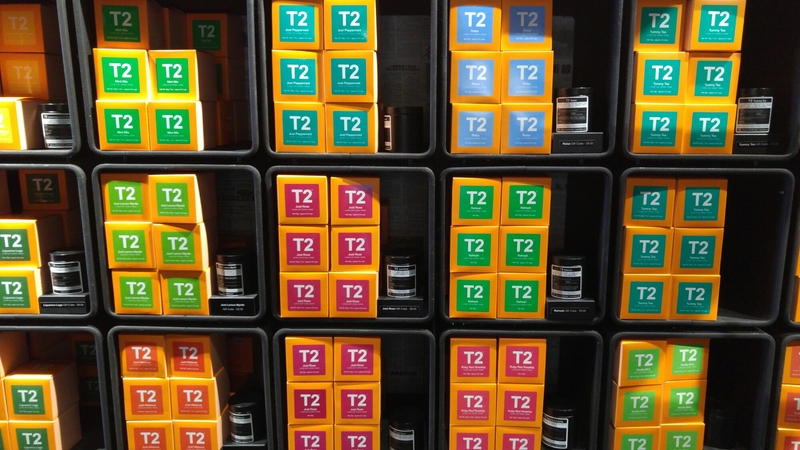 I visited the T2 tea shop on Redchurch street. These guys usually have a few different teas on the go for you to try, and I fell in love with their French Earl Grey. My friend Sarah gifted me a box, and I’ve been enjoying it ever since. 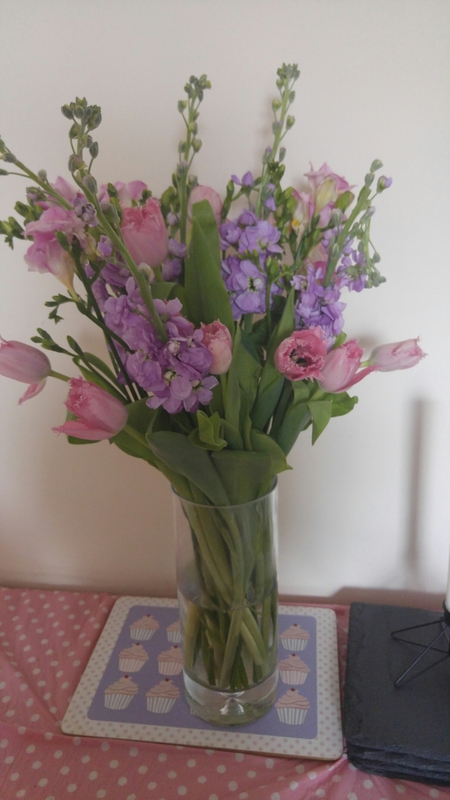 Beautiful flowers from Columbia Road. Sarah gave my housemates and I this lovely arrangement after her stay with us. She used to be a florist, so if anyone can put a pretty bouquet together, it’s her. I finally got my hair coloured and cut. I have naturally brown hair, but get blonde highlights. I’m usually so lazy about getting it touched up that I get remarks about my “ombre”. It’s not ombre, it’s laziness. 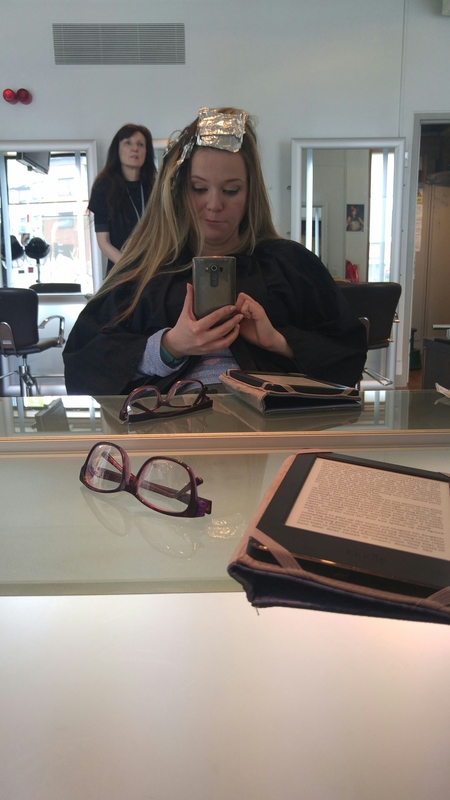 I hadn’t set foot in a salon since December, so with an upcoming holiday, I thought it was about time I got it done. There’s nothing quite like that feeling after a haircut. I attended the Yelp Food of the Future Festival with the Bulgarian. 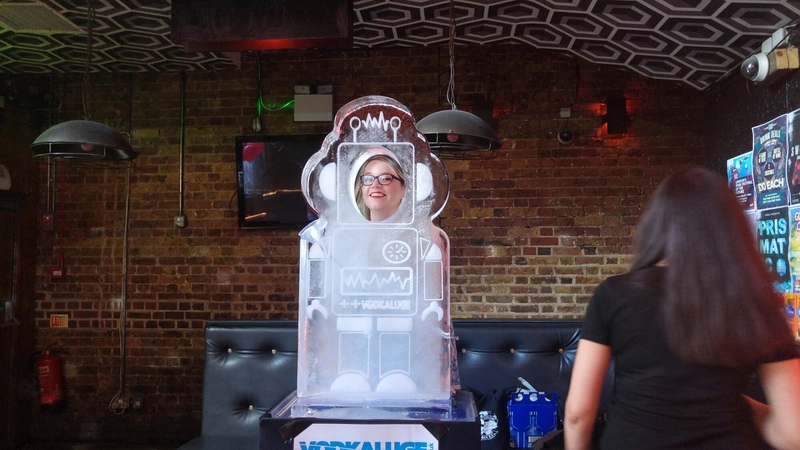 The very first thing we did was this vodka ice luge. It was fun, but on an empty stomach first thing on a Sunday morning? Yikes. 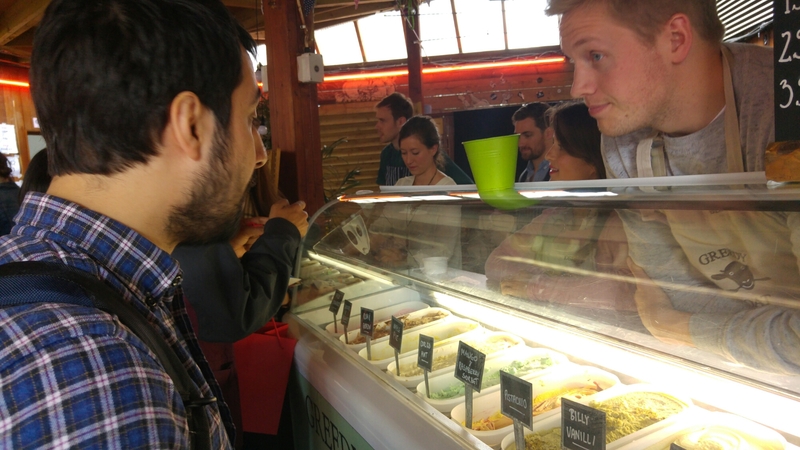 The Bulgarian was more courageous than me to try most of the things at the food festival, but we both loved the goat’s milk ice cream. 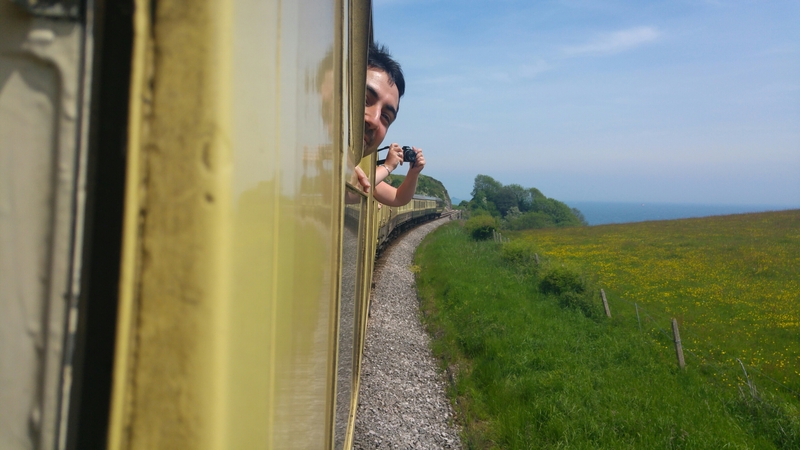 We took a ride on a steam train through Devon. I’m still amazed I had the guts to take this picture, I kept worrying I was going to drop my phone out the window. 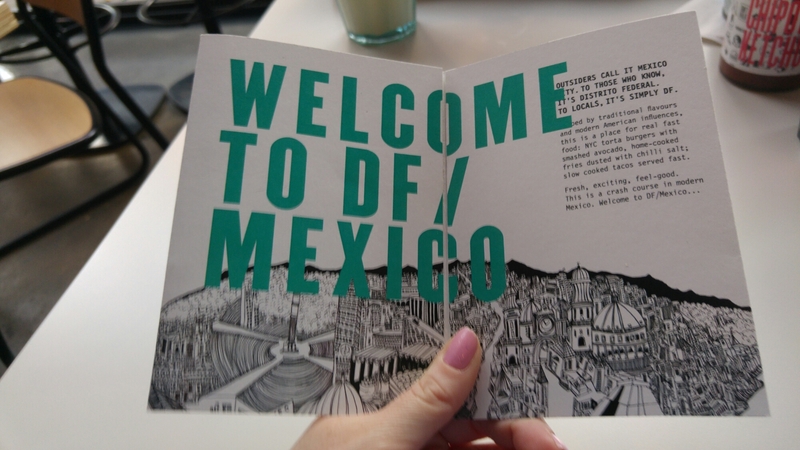 I tried out DF Mexico, and it was delicious. 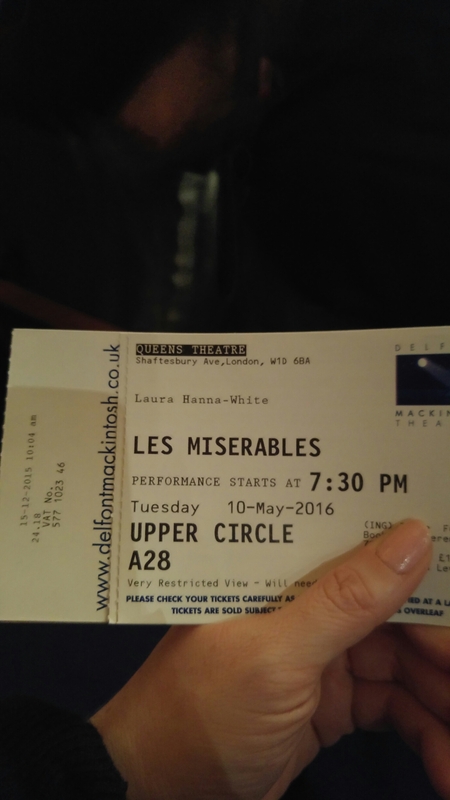 I went to see Les Mis! I bought these tickets back in December and had almost forgotten about it by the time the show came around. Such a beautiful experience. 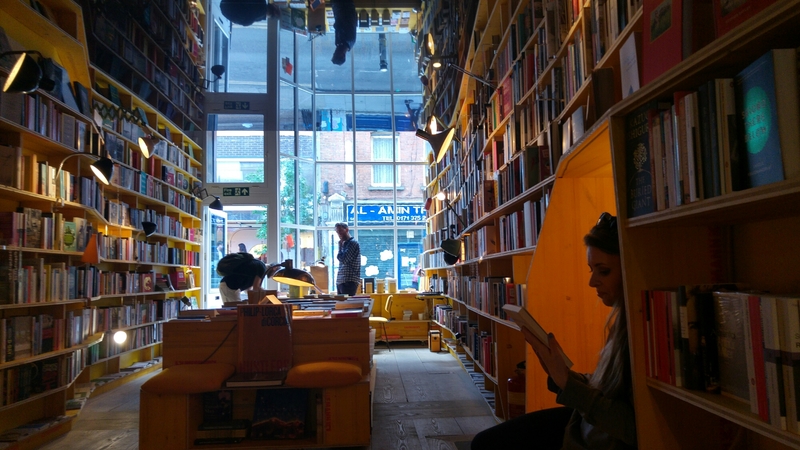 My friend Sarah came to visit and we discovered Libreria, my new favourite bookshop. Less exciting than some of my other events, but I discovered these wonky veg boxes on a trip to Asda with my friend Aisha. I really hate food waste and think its ridiculous just how much perfectly good produce gets thrown out because it looks a little odd. 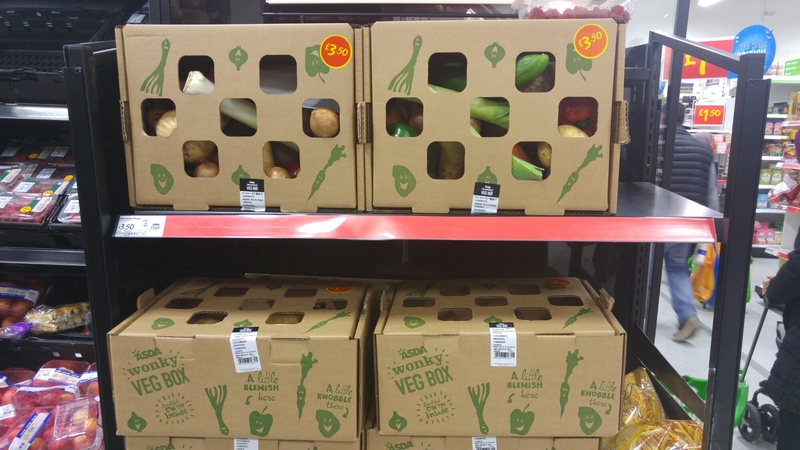 Asda are now doing these £3.50 boxes of “wonky veg”that would otherwise be thrown away. If you feel like getting a bit adventurous or are making some nice soups, this would be perfect. I love the idea though, and think it’s great they’re taking some kind of steps to reduce waste. 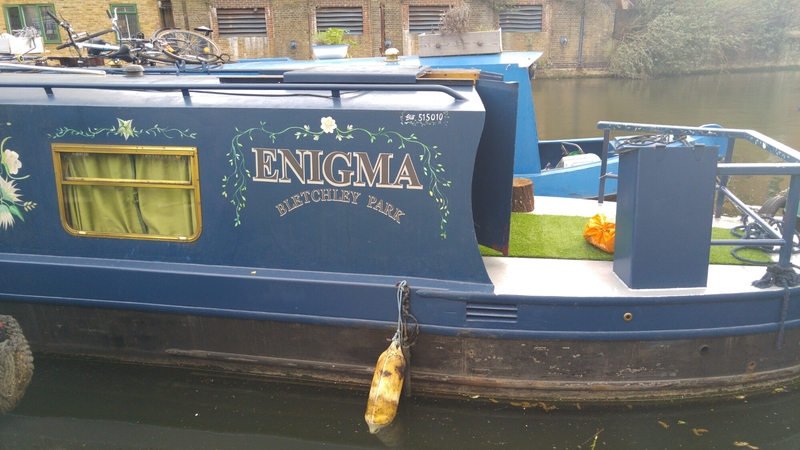 Saw this canal boat on a walk and took a photo to send to my little brother. While I was studying computer science, he took an interest and decided he wants to study it one day too. After my graduation last summer, he, my mom (who also has a computer science degree), the Bulgarian (just finished his) and I took a trip out to Bletchley Park and I think it was a pretty special trip for him. 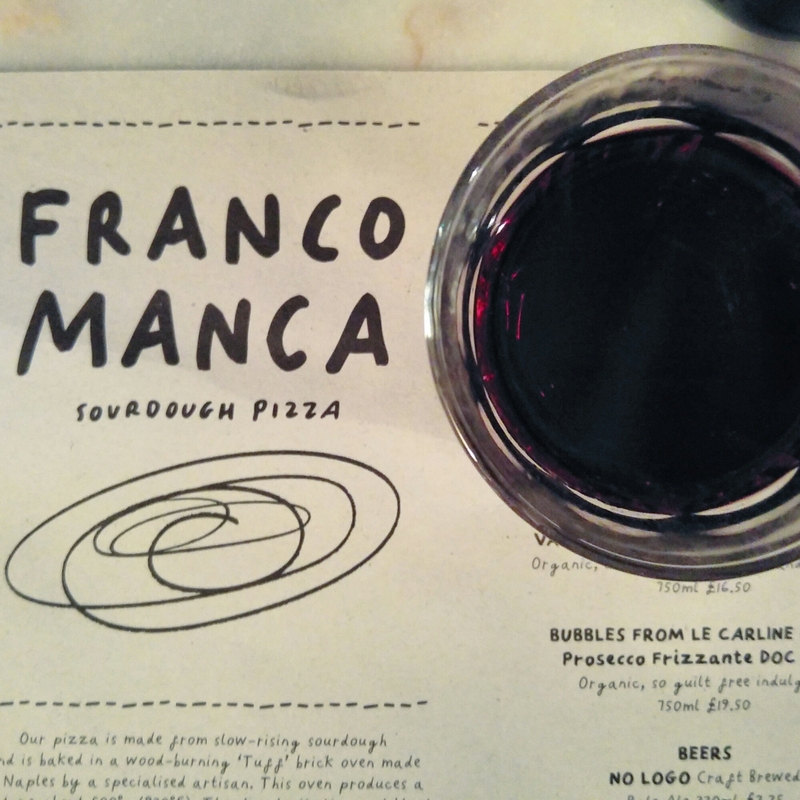 I went to Franco Manca. 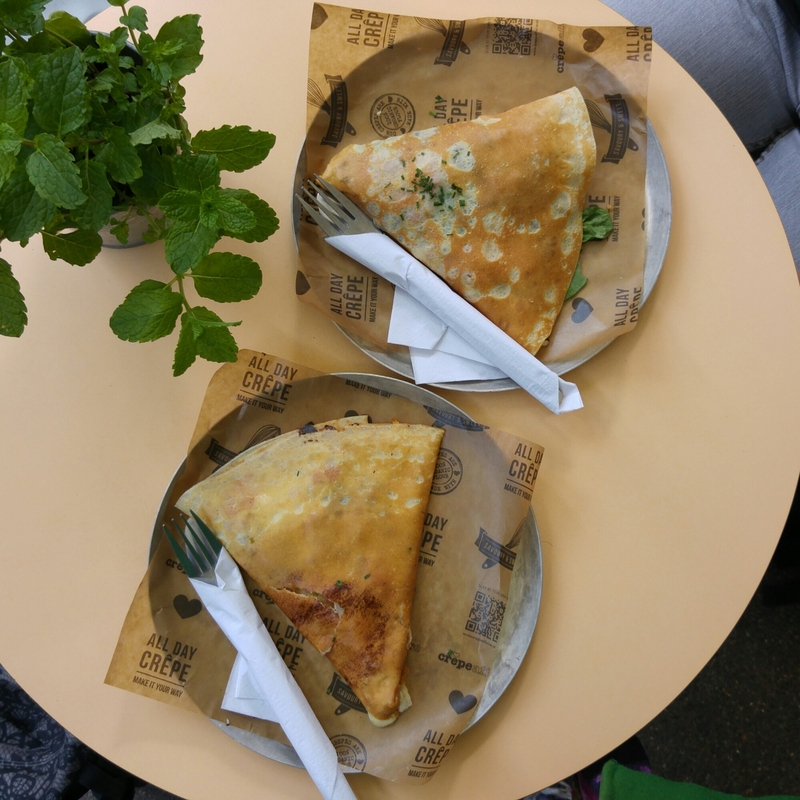 While Sarah was over, both her brother and I agreed that Franco Manca do some of the best pizza in London, so we all paid a visit to the Broadway Market restaurant. The wait time was incredibly long, but the pizza was so worth it. There are so many more fun things I’ve seen and done here and there, but those are the highlights. May was a pretty awesome month. I’m looking forward to seeing what June brings!